much like the time i wondered how i would go about reviewing what was essentially five glasses of juice, when a carefully curated box of oven-baked fruit treats landed on my desk the week after my holidays, i did wonder how the heck i was going to review them too. 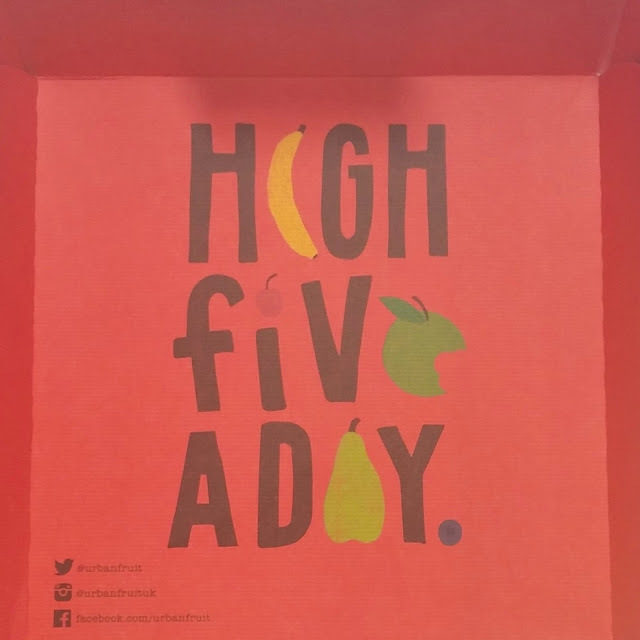 i chastised myself for agreeing to product reviews while hungry (again)(always), but seeing as it ~was nearing lunch time, i cracked the box of urban fruit goodies* open, and assessed the loot. inside were about eight (started to eat them too quickly to count) bags of varying size (100g and 35g as far as the website will tell me.. but i would have thought the smaller bags were only about half the size of the bigger, not that much smaller...) and flavour. 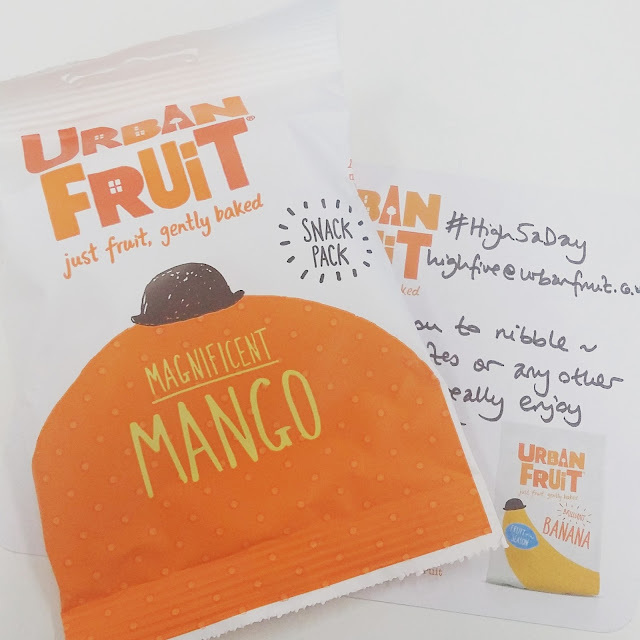 i'd initially grabbed for the magnificent mango so my colleagues didn't get their sticky fingers on my favourite flavour, but was pleasantly surprised that there was a mango in each size; i still hid the big bag for me to devour solo. other flavours included in the box were tremendously tropical, smashing strawberry, cheeky cherry, perfect pineapple and brilliant banana. i was keen to get into the strawberry and the pineapple after the mango, knowing that the banana and the cherry would be least of my favourites. thankfully i work with a couple of lads who are more than happy to eat anything (hi nick, let's see if you actually do read my blog, eh? pop quiz on monday) you offer them. the thing about being on holiday and eating all of the different foods and then coming home to horribly quasi-tropical weather is, your body wants to be eating differently. when i got back from portugal and then york, all my body wanted to eat was salad. where i'd normally shovel a load of salmon stirfry in my cake hole of an evening, i was making fresh prawn salads and shovelling them in instead. for about five days straight (with the exception of a well-earned fish and chips), all i lived on was salad. instead of the terrible daily supermarket sandwich packaged up with a packet of crisps and a diet coke as some sort of wonderful "meal deal", i was coming back with quinoa salad, feta salad, chicken salad - and the obligatory diet coke, of course. what i noticed about this change in eating pattern, is that as well as salad, my body wasn't craving the salty extras anymore, and in fact, was delighted with the baked fruit replacement in the afternoon instead. 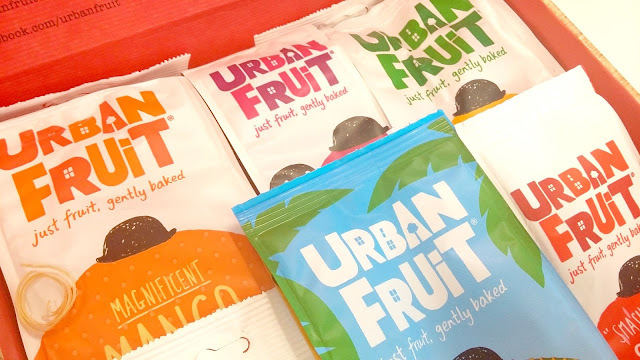 i was more than happy to be munching on these healthy alternatives, because in my eyes - they're not bits of fruit, not messy and not 'ripe' or 'unripe' or out of season, they were ready-to-go snacks, in an easy pouch - no muss, no fuss. and that's the kind of snack i like in my life. don't get me wrong, i love a bit of fruit as much as the next person, but how often do you think we get a real live mango or pineapple in our fruit trolley? "none of the time" is the actual answer. so if i can get my mango fix in 100g of well baked and well packaged ease, then, yeah. that's what i'm all about. plus, every 20g is *apparently* equivalent to one of your five a day, meaning that an 100g serving (if my maths is what it used to be) of urban fruit is the same as you getting five a day. not sure how much i trust that though, as... i was always told that 'one a day' was the same as a 'handful of fruit'; 20g of these baked treats doesn't *seem* to be the same, but i suppose that when you bake it, it shrivels up, right? i'm sure they've done their research, for what it's worth, so i'm happy to take that as gospel. mostly because that seems an incredible way to get all the health benefits of five bits of fruit a day, and for less than two pounds (most supermarkets will sell these now) - not to mention the fact that actually, they were all (majority, in my humble opinion) really tasty, easy to eat, and not sticky or greasy or messy to tidy away. the mango was definitely my fave, followed closely by pineapple and then strawberry. the berry kind of reminded me of a giant sultana, which was weird, because it was more like a ball-shape than the slices of pineapple and mango, which i suppose is... because you don't slice a strawberry... moving on. i did not enjoy the banana, at all. i don't really eat a whole lot of fresh banana, preferring it in a pancake or completely dehydrated like those banana chips you get in a trail mix, but the boys rather enjoyed this variety. cherry was not a highlight. i just don't like cherry stuff, you guys. like them fresh, but that's it. this was... weird. again though, the boys enjoyed. and i suppose, in hindsight, they tasted a lot like cherries, so i just don't know why i didn't like it. it's probably psychosomatic, so let's over look that for now. all in all, i was more than surprised by these snacky things. with no artificial ingredients, no gluten, vegan friendly and all those boxes ticked, they're kinda perfect for everyone. yeah ok they're more expensive than a packet of crisps, but no more expensive than five bits of fruit, and that's the real comparison, isn't it? it my mind, i'm more likely to buy these as a snack than an apple, banana, punnet of strawberries and an orange to hit my quota. i really enjoyed them, and will definitely be buying these again. have you seen/tried these packets of nature's candy yet?